Are you a bit of a tight-arse? We've got a night that'll be right up your alley. Burger, beer and a side of chippies, all for just $13 at the Pub. This special is very popular so please note that orders may take a while at peak times. Yes, you read that correctly, and no this is not a drill! Bring your kids along with you to the Bistro on Wednesday for either Lunch or Dinner and they dine FOR FREE! The child must be accompanied by a paying adult, and also under the age of 16. 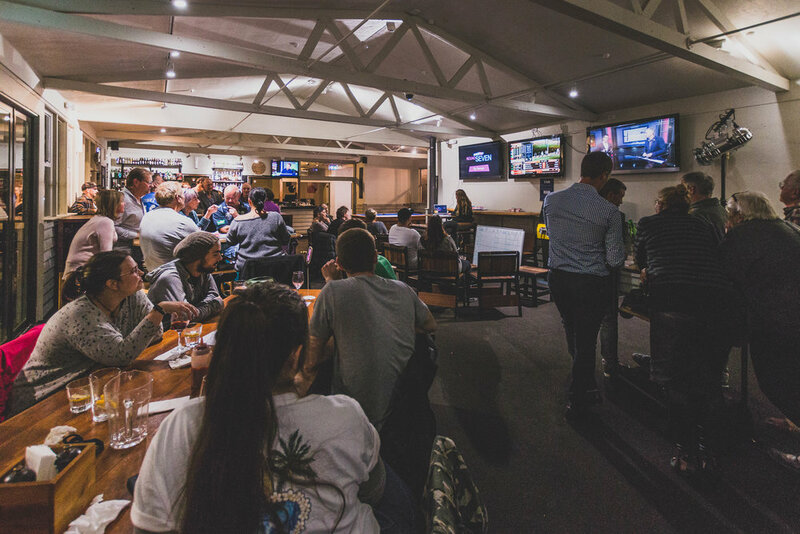 Grab some mates and come down to the Hotel to test your wit at the weekly quiz night, hosted by one of our staff. No-Friends Nigel's are also welcome - actually they're preferred, 'cos if you solo it to a quiz night you've gotta be smart as, right? Famous for starting 'Pub G at the Pub, G? ', the Hotel's game nights are a source of fun and competition for patrons. Sporting a new Xbox game every week, this addition is a chance to prove your place on our two in-house Xbox's. Not a gaming fan? Challenge your mates to a game of Scrabble, Jenga, Connect Four, or a host of other games on offer. Celebrate the start of the weekend by enjoying a sumptuous new $10 special every Friday, along with house wine and beer for just $6.75 each.